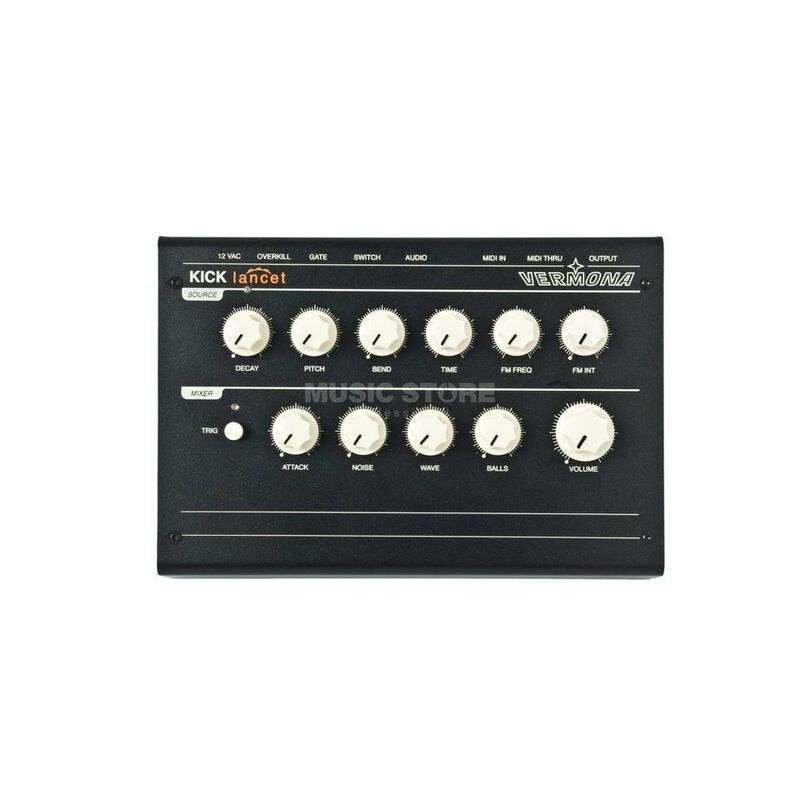 The Vermona Kick Lancet is a desktop analogue percussion synthesizer with an emphasis on the creation of kick drum sounds. The Kick Lancet from Vermona has a sound structure based on an analogue oscillator producing sine and square waves that can be blended seamlessly to suit the needs of your tracks. It also features two independent envelopes generators that can modulate the oscillator and VCA. In addition, the VCO can be modulated further by a fast LFO. Addtional Noise and Pulse signals can be mixed in the Mixer section and if this wasn't enough a Balls control allow for the creation of a really big sound. Futhermore The Kick Lancet can be triggered by MIDI but also by CV GATE, Trigger switch, and audio giving you total control and freedom.